The public’s decision early this summer to leave the European Union was a watershed moment in our history. Brexit is the biggest international negotiation Her Majesty’s Government has ever undertaken. Since 23 June, a new Prime Minister and Foreign Secretary have taken office and two new departments have been created. The Foreign Office’s task is to support these new departments and to promote British interests in Europe and on the wider world stage, both during the negotiations and afterwards. To support the Government effort, the FCO has loaned 42 slots to the Department for Exiting the European Union (DExEU) under ‘machinery of government’ changes and lent DExEU two private office staff. 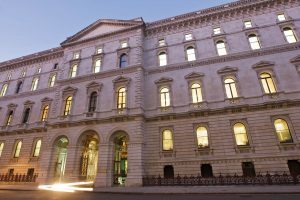 We have also made space available in the Downing Street East wing of King Charles Street for ministers and senior officials from the Department for International Trade (DIT). We are working together to advise the Prime Minister and her Cabinet on the UK’s strategy for leaving the EU. Our diplomatic missions overseas are already using their established networks to report local reactions and explain the UK position. Staff in missions are best-placed to advise on what leverage we have with which countries – and how best to use it. Our established relationships will be crucial in supporting the negotiations, so we are considering how we can increase capacity in our European embassies. Our departmental transformation programme, Diplomacy 20:20, will give our workforce the expertise and agility to advance UK interests in the new international context. Our global network is the platform for the whole of government’s international work, projecting Global Britain with panache and impact. In London we work with DIT and others to enhance trade capability, including through the development of a cross-Whitehall Trade Policy and Negotiations Faculty in the FCO’s Diplomatic Academy. Working with our colleagues across government is central to looking beyond Brexit and projecting Britain’s place in the world.